Run away to a shelter. Thank you guys for your attention and comments. Thanks Godra for the explanation. Yes,that is Montenegrin flag. Registered in Herceg Novi (20-HN). 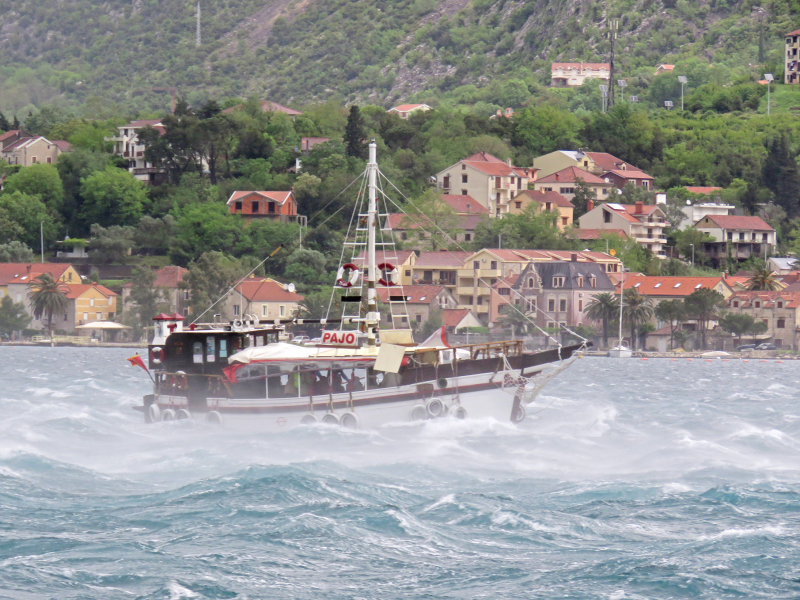 Is that the Montenegrin flag she is flying at the stern? Great shot! Conditions look very unpleasant! This photo has been shown 1,314 times since it was added to the site.